We're getting close to the end friends. Close to the end of 2013 that is. 2014 has some big promises ahead. But before we look ahead to 2014 (I know some of you out there have some big party plans) let's take the proverbial moment of reflection to look back on 2013. 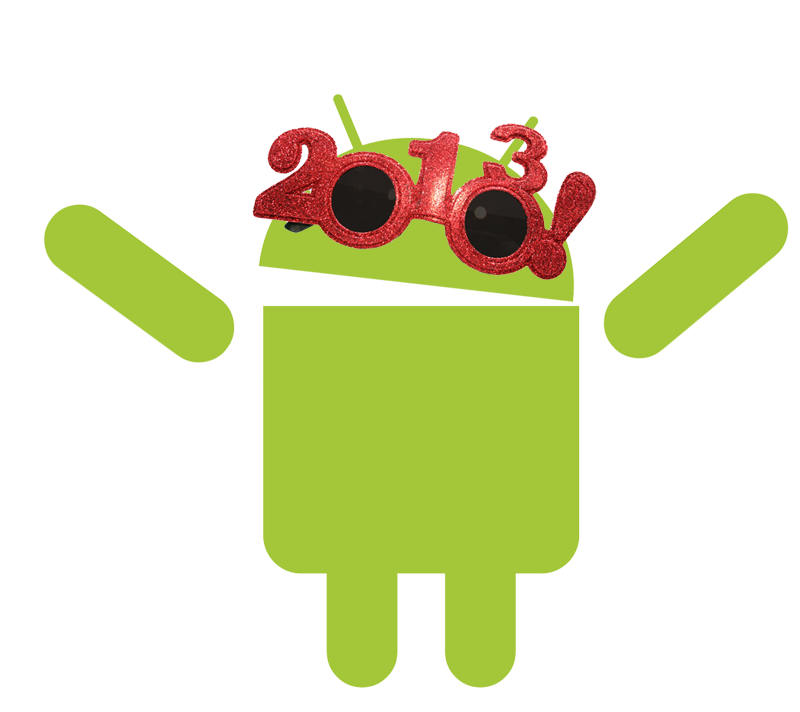 What did 2013 hold for Android? What were the highlights and lowlights? Well, I'm going to take a walk down memory lane and give you my impressions on what 2013 held for our favourite device OS. So, in no particular order here's what I saw as some of the highlights of 2013. Again, these are what sticks out for ME. If there's anything you think that should be included, just comment below. Of course, I couldn't go without mentioning that. A lot of people gave me flack on it when it pulled the switch. But, as a blogger, I read a lot. And mostly I read these articles while 'on the go' ... i.e. on my Android. So, pulling the service made my daily use of my device a little less ... satisfying. That is until Feedly really brought its game. And I'm back to what I was doing before: consuming a wide quantity of media news. In a weird twist and amongst speculation that the Nexus line was going to include multiple devices, not just a single device, we were introduced the Galaxy S4 and HTC One Google Editions. We called them Nexus User Experiences, quasi Nexus devices, etc... but eventually just GE for Google Editions. This almost rang true for one of my 2013 predictions, that we'd start seeing the skins as 'options'. Close, but no cigar. Unfortunately Canada still is waiting for the opportunity to take advantage of these devices as we are not yet allowed to purchase. When Google bought Motorola Mobility almost 2 years ago we were really interested. What could Google do with a hardware division? For a while there it looked like nothing new. But... given time you start seeing getting through the cycle of 'old Moto' and ushering in what Google is wanting. Prime example is the Moto X shows that the the race for top end specs is over. The Moto G also shows that 'low priced' doesn't mean 'low end'. Accessories also started to bring in some innovation... primarily I was loving the idea behind the Sony QX lenses. Probably the biggest viral sensation for phones in a while, Phonebloks, was already in discussion with Motorola to start the project off. If you're on DScout you can join in the early consumer focus groups. Good to see the government try to reign in the wireless providers, however I don't think it gave them quite the whipcracking that they should have. Just about everybody's favourite custom ROM developer steps from hobby ROM developer/cooker to a full on business, and partners with Oppo as the first ever device to come preinstalled with CM and GApps. An interesting take that I don't think the general population caught on to with the Kitkat update. Having the option to change from Dalvik's Just In Time compiler to the Ahead of Time compiler some folks have noticed huge speed increases and much better battery life (not me, but I'm not your typical user). This is something that 2014 will bear our more results for. So those are the items that have stood out in my mind for 2013. What have I missed?